Walkley Historians will be at the Walkley Community Centre Winter Fair on Saturday 25th November. We have a stall to provide information about what we do as well as sell copies of our books and those by local doctor Jenny Stephenson. We will share our stall with local photographer Moira Gibbons. 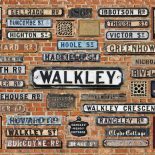 We can tell you more about our current project – The Streets of Walkley – all about our suburb’s Victorian origins and history up to the Edwardian era. The Fair will be held at Walkley Community Centre, 7a Fir Street, Walkley, Sheffield, S6 3TG on Saturday 25th November 2017, from 2:00 – 5:00pm. This entry was posted on November 22, 2017 by Bill Bevan in Events, News, Uncategorized.